Thickener is the main equipment for the washing and dewatering treatment of concentrates and tailings in concentrator, which is widely used in metal beneficiation, metallurgical, chemical, environmental protection, coal and many other fields. With the gradual enlargement of the processing capacity of the concentrator, the increasing demand of the large thickener and the reliability of the mechanical transmission parts of the thickener are very important. The traditional structure of the mechanical transmission system design of the old center Drive Thickener is through (or chain drive, gear) transmission, gear reducer, the last stage is worm gear transmission, through worm gear drive to drive the rake shaft rotation. Worm and worm gear transmission is the core of the thickener mechanical transmission. Take the 18 m center Drive Thickener as an example, the old-fashioned structure is shown in Figure 1. The lower end of the worm wheel is a self-made thrust bearing, the bearing of the Volute hub is a copper sleeve, the lower end of the spindle is supported by the lower bracket and the copper sheath, because of the large size, the processing difficulty is great, especially under the bracket and the lower box connecting the positioning steps and the lower end of the stent with the spindle of the copper It also brings a lot of inconvenience to the assembly. The structure of the lower box is also more complex. This structure is lubricated by the operator to inject grease into each class. Inadequate lubrication makes frequent accidents happen. Thickener is the main dewatering equipment of the plant, the accident of the thickener is inevitable according to the selection of plant production, and because of the difficulty of the worm gear processing, the need for special worm hob, worm gear material is more aluminum iron bronze or rare earth magnesium molybdenum castings, the cost is very high, these are limiting the central transmission thickener large-scale production. Slewing Bearing is the slewing platform of the supporting host, which can transmit force and torque. 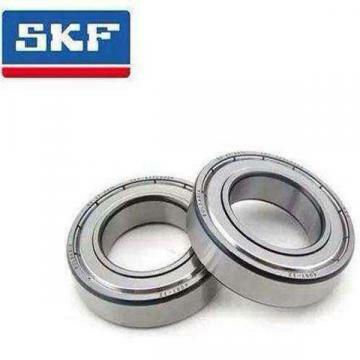 Often used in cranes, excavators, with slewing bearings to withstand axial force and overturning moment, and used in the thickener of the slewing ring is mainly subjected to very large torque. SLEWING bearing structure type has single volleyball type, cross roller type, double volleyball type, three rows of column type and so on. Slewing ring is mainly composed of rolling elements, inner rings and outer rings. The inner ring and outer ring are fixed by high strength bolts respectively with lower box and Volute hub. Installation bolts shall conform to the standard of GB3098.1 and GB5782, shall not be less than 8.8 high-strength bolts, with a double-sided relaxed pattern and hardened flat washers or nuts to prevent loosening. Installation bolts should be guaranteed a certain preload, 0.65-0.7 times times the yield limit of the bolt. Slewing Bearing assembly requirements: Check the bolt preload after 100 hours of operation, and then check once every 400 hours. Due to structural constraints and on-site conditions (Thickener generally normal production will not stop). We apply anaerobic adhesives to the rotary support mounting threads to prevent loosening. This eliminates the need to repeatedly disassemble the box to check the preload of the slewing bearing. The tank is lubricated with thin oil, which lubricates the gears and lubricates the slewing bearing. Slewing ring is also divided into toothed and non-toothed type, toothed slewing ring is divided into internal and external teeth type. According to the need to choose different types and models. The improved Thickener drive system is shown in the following figure: cancellation of the lower bracket in the old structure, copper sleeve, self-made thrust bearings, and the upper end of the thrust bearing and worm gear. As can be seen from Figure 2, the improved central drive thickener structure is very simple, and the reliability of the operation is very strong. (1) Because slewing ring has been specialized production, good quality, low price, do not have to make special bearings, in the thickener selection can reduce processing capacity, speed up product production cycle, reduce costs. (2) slewing ring is reliable in operation, and it is lubricated by dilute oil. The accident rate in the operation of Thickener is greatly reduced. It also greatly reduces the cost of maintenance in the use of equipment (practice has proved that, under normal circumstances, the service life of slewing ring can reach more than 10 years). (3) Because of the tooth type Slewing Ring support specifications complete, can meet 85 meters below the center Drive Thickener and center well type thickener (Note: I research and production of central transmission thickener 20 meters below the center drive, 20 meters-40 meters thickener is a central drive also has a central well type, 40 m-85 m thickener for Central well type drive) needs. The transfer torque of the high-efficiency thickener can be increased infinitely to meet the needs of different processes. (1) Peripheral drive type Thickener mainly by the main girder (work Bridge), the central bearing and the collector device, drive device, scraping mud device, scum scraper, steady flow cylinder, scum rake board, small scraper, grid, overflow device and control cabinet and other components. The central support consists of a fixed support seat, a slewing bearing and a frame, which can withstand axial force, radial forces and tilting torques at the same time. 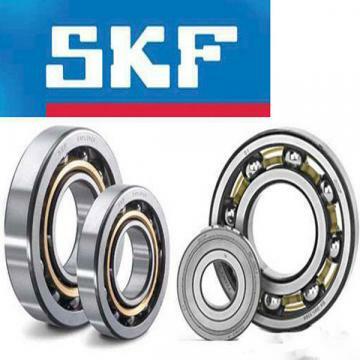 (2) The slewing bearings of the central bearing of the old-fashioned peripheral drive thickener are usually self-made, not only complex in structure, but also prone to accidents. and need to be replaced regularly, the replacement process time-consuming, laborious. Every repair and replacement of the plant will be discontinued. (4) The slewing ring itself is equipped with a seal, lubricating grease, the operator as long as the instructions are regularly injected oil can ensure normal operation. (1) Simple structure, compact, light weight, low cost. (2) slewing ring has been serialized to facilitate the serialization of products. (3) Change the conventional traditional design ideas, improve the mechanical efficiency, make the transmission more reliable, reduce the accident rate.